Remarkably designed, this -design rug has been intricately hand crafted by our skilled artisans. This rug is "one of the kind" and is a unique product. This is a Handmade sari silk oxidize rug. 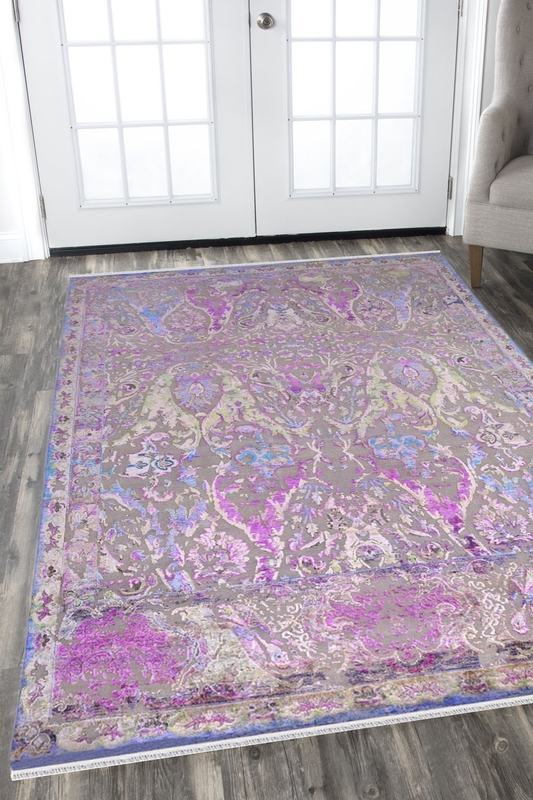 - Hand-woven of sari silk with inspired by modern design, this rug is ideal for bringing colorful texture and gorgeous look to any room of your home. - Sari silk handmade carpet is softer underfoot than other handmade carpet options like sisal and sea grass, jute, cotton though just as strong and durable. - Weft - Sari Silk.